Wondering where to get the best Limo Houston? You've come to the right place! Destiny Limousine is Houston's best chioce for Limousine Service, Town Car Service, Party Buses, and Airport Transportation. Our staff of drivers are the best and it shows. Let us show you the Destiny Limousine difference! When it comes to your personal or executive transportation needs, Destiny Limousine provides only the most efficient and professional service. Our prices on our Houston limousine rentals are some of the most competitive of any limo rental company in the Greater Houston area. Call today 713.952.0068 for the Destiny Limousine difference! 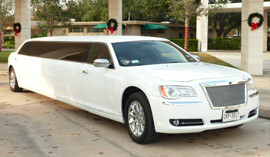 Destiny Limousine provides professional Houston Limo service all over the Greater Houston Metro Area. No matter if you need Airport Transportation, Limo Service for a special occasion or a Party Bus for your next big event, Destiny Limousine has you covered. Our fleet has everything from town cars and Mercedes Sedans to Party Limo Buses that can carry up to 30 passengers. We offer transportation to all types of Houston Events; like Concerts, Weddings, Bachelor Parties, Bachelorette Parties, Quinceaneras, Conventions, Bar Mitzvahs, and even just luxury tours of the city of Houston. Our chauffeurs are all properly licensed and extremely attentive. 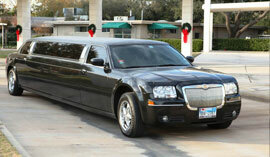 We also offer Houston airport transportation for your personal or your corporate needs. Tired of driving to see your favourite game? Destiny Limousine Service has been business since 1991. 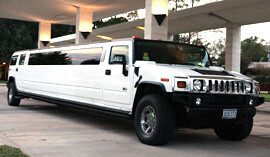 Our Limousine Service offers the best in quality party buses and Houston limos. We have the best variety of limousines, party buses, Mercedes Sprinter, Hummer, Chrysler, Shuttle bus, Escalade, Mercedes GL, Suburban as well as Town Car Airport Service. At Destiny Limousine Service, our professional chauffeurs are experienced in driving our entire fleet and they are all fully licensed. We have the best reputation in the city of Houston, hands down. Whether providing travel accommodations for business or leisure, Destiny Limousine Service of Houston assures you will get top quality and reliable ground transportation; this includes Airport Services, Point-to-Point, Tours, Customer Dedicated Services, Conventions, Prom, Weddings, Quinceaneras, Concerts, Bachelor (ette) parties or just a night out on the town. Because your travel needs may vary from day to day, we offer many services that are tailored to fit your personal or business itinerary and budget.There are many choices in Houston for your transportation needs, let us show you why Destiny is the best choice. Many of our clients come as referrals from past clients and you only have to travel once with with us to see the Destiny difference. Our clients know they can rely on us to offer the BEST quality service and customer satisfaction time after time. If you find yourself in need of the best airport transportation Houston has to offer, you have found the right company. At Destiny Limousine we pride ourselves in going the extra mile for our clients. Looking for a party bus Houston? 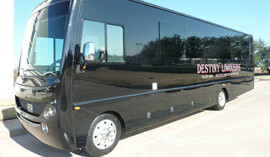 Destiny Limousine has just the luxury bus for your needs! Our drivers are the best at what they do, fully licensed and friendly! Call us today to book your party bus! 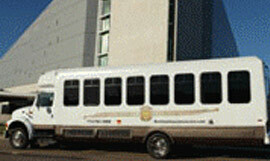 We serve the outlying areas of Houston as well; Party Bus Katy or Party Bus Galveston, and all areas inbetween. 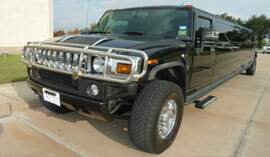 Search for a Limousine in Houston? 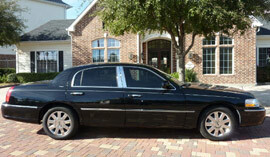 Or Town Car Service Houston? Well at Destiny Limousine we've got you covered. Our staff is top notch and fully licensed and we will get you to your destination on time! We pride ourselves on outstanding customer service. Wondering where to get the best Limo Houston? You've come to the right place! Destiny Limousine is Houston's best chioce for Limousine Service, Town Car Service, Party Buses, and Airport Transportation. Our staff of drivers are the best and it shows. Let us show you the Destiny Limousine difference!